James Angus – crackle… & splat! What if things doubled their size overnight or fell from the sky, or if the wind blew so hard, or if everything was inverted, doubled, enlarged, or turned upside down? In James Angus’s work, the physical effects of these philosophic or poetic propositions are rendered upon familiar forms: a basketball dropped out of a plane; Mies van der Rohe’s Seagram Building bent like a banana and his Lakeshore apartments twisted into a helix; a hot-air balloon floating upside down inside the Sydney Opera House; a semi-trailer truck parked – wedged, really – in a narrow corridor. Each scenario belies a force or pressure that might kink, bow, invert, inflate, rotate, or multiply the object, or suggest some other contrary stress or state that maintains it under extraordinary – even impossible – circumstances. Angus’s sculptures are not simply models of objects but also models of fundamental conditions or forces that act upon them. These forces are metaphysical, even magical, and suggest a world of future possibilities, or another world altogether, which is, properly speaking, virtual. Many of the works reflect the functions of digital software – enlargement and reduction, duplication, rotation, phase shifts, colour separations, items copied to new locations. The application of these functions conjure a world influenced by some sort of extreme future weather (zero gravity, increased atmospheric pressure, cyclonic winds, black holes, worm holes). So what would a soccer ball dropped from 35,000 feet look like? Just as it’s been computer-modelled and sculpted by Angus: a halted dynamic form. Angus uses computer software to ‘duplicate’ the lost Falkenstein Castle, so a second appears overlaying the first, set to the right and slightly lower – a flurry of towers and turrets. Le Corbusier’s Maison-Domino, a prototype living space designed for mass production, has been ‘colour-separated’ by Angus into red, blue, and green as if for reproduction, absurdly reconciling living space with its screen image or with its mass-media circulation as the Platonic form of modernism. Two slightly different perspectives of Oscar Niemeyer’s Ministry of Education and Health in Rio are combined into a single model, which shimmers or vibrates between two moments in time. Angus’s bicycle combines three bicycles into one shimmering figment, an object “entirely solid yet blurry”, according to Angus, “a sculpture in motion, which vibrates between singular and plural”. As with a Necker Cube, our view of something familiar is led on by Angus’s on-screen manipulation of appearances trapped within an illusionistic model, caught between different aspects of the object. The implausibility, and incompatibility, is overcome by a compulsion to keep looking and make sense of things. Indeed, no matter how hard I look at Angus’s compressed Bugatti, caught midway through some tumble on a sharp turn – its compression or narrowing seeming in direct proportion to the centrifugal force flinging it outwards – I cannot resolve my view of it. It sits perfectly poised on a brink between physical and virtual conditions, fashioned from competing forces meeting at loggerheads at this precise moment in its terrible roll, although showing no signs of damage. Rather, it’s perfect. It’s the most compelling and beautiful HD slow-mo vintage-car accident I’ve ever seen. Any other, or virtual, world has always been imagined, but it is now also envisaged and constructed seamlessly thanks to computer modelling, a consequence of the reduction of all animal, vegetable, and mineral matter to data – plus a little math. Nevertheless, technology ultimately remains in thrall to imagination and touch, and it is still subject to various aesthetic or sculptural qualities like proportion, composition, and mass, which physically relate to viewers. 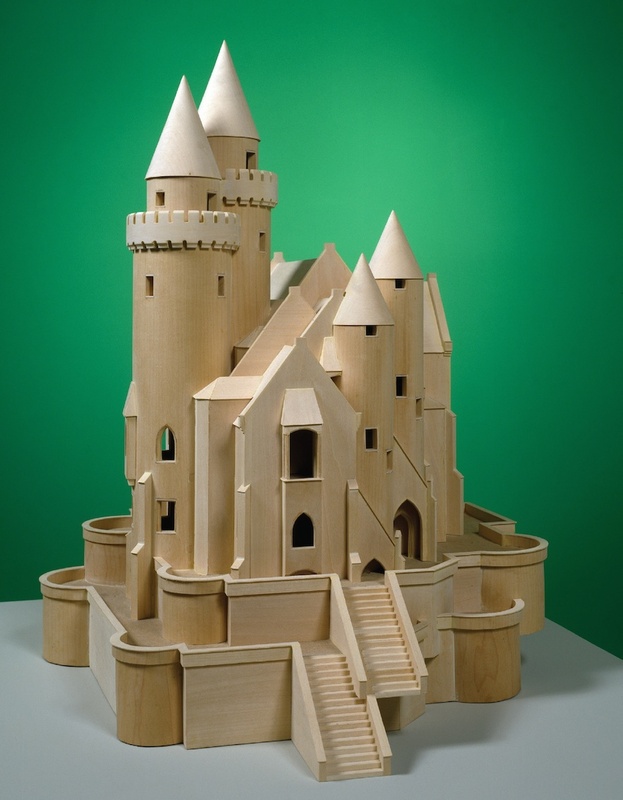 Angus is evidently a skilled caster, carver, and modeller, showing great sensitivity to a range of materials – including timber, rubber, plaster, and metal – in rendering these impossible scenarios plausible. So seeing might be believing, once again. By incorporating the immanent properties of the object into a single perspective, Angus raises looking to a supreme mode of awareness. In its multiple dimensions, we can see the object, even see through it, as a multifaceted reflection of the world around it: how it could change over time and under different circumstances, how it would fit elsewhere, how it is perceived differently by others. Sculpture in the ‘expanded field’ has always referred as much to its environment or context as its intrinsic qualities, and audiences these days look reflexively for what might cause a thing as much as the thing itself. Angus’s work catalogues the changed prospects for the object – and sculpture – at the turn of the century, testing the limits of our increasing credulity about the way things appear, how they are made, and how they could well change.